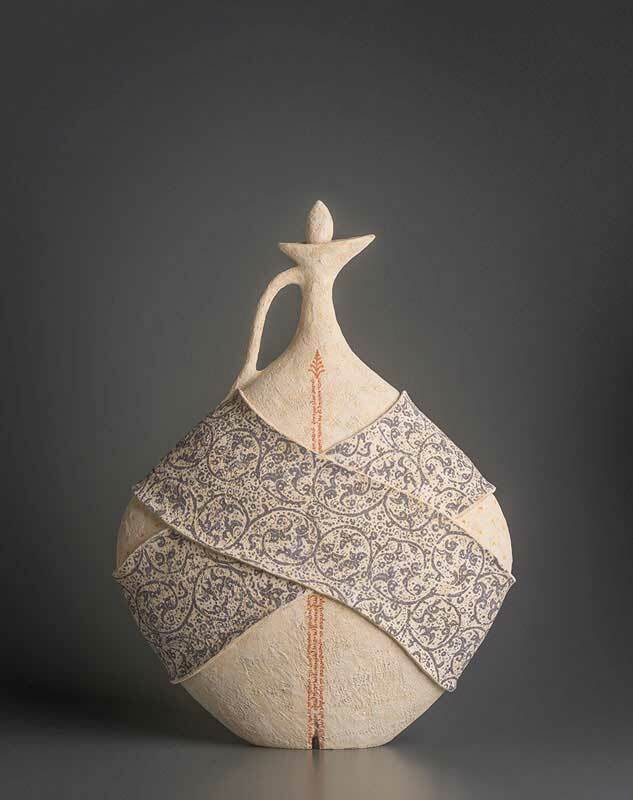 Avital Sheffer’s work is informed by an investigation of her Jewish heritage and the landscape, architecture, languages and wisdom that arise from an interweaving of related European and Middle Eastern cultures. 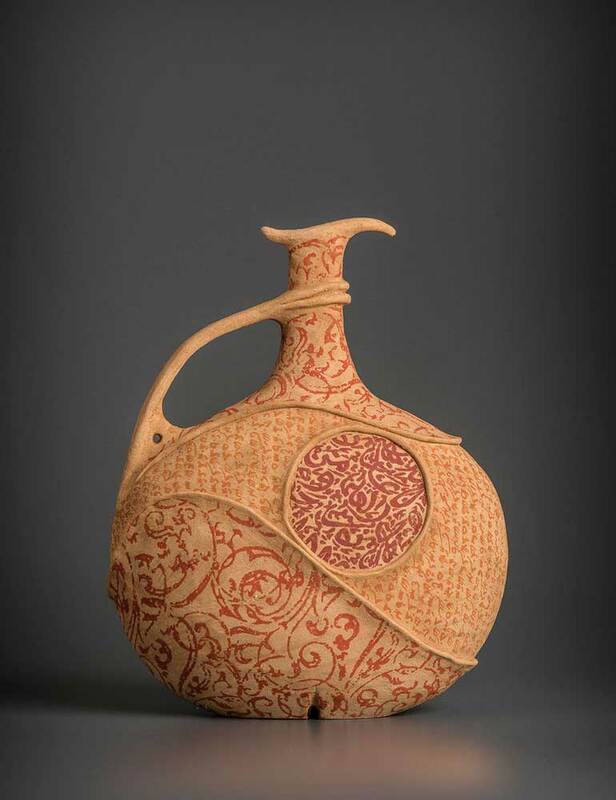 Ancient ceramics, glass, metalware and calligraphy are a source of inspiration. 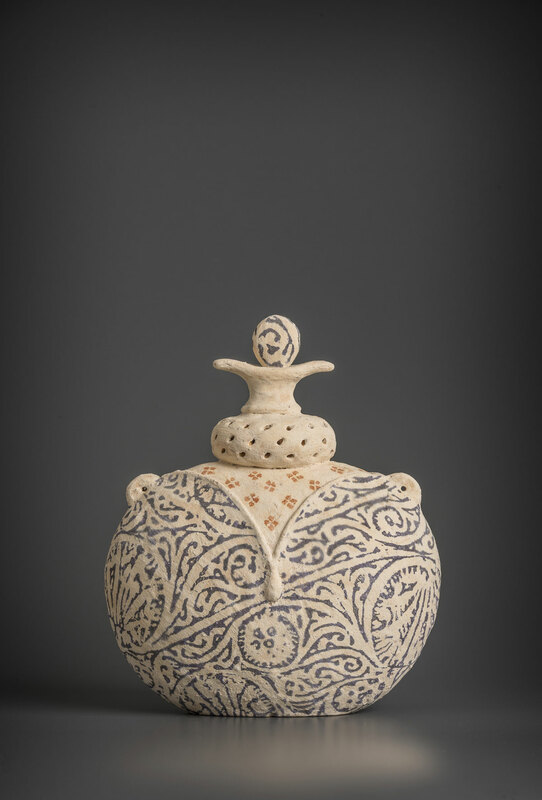 Ancient ceramics, glass, metalware and calligraphy are a well of inspiration. 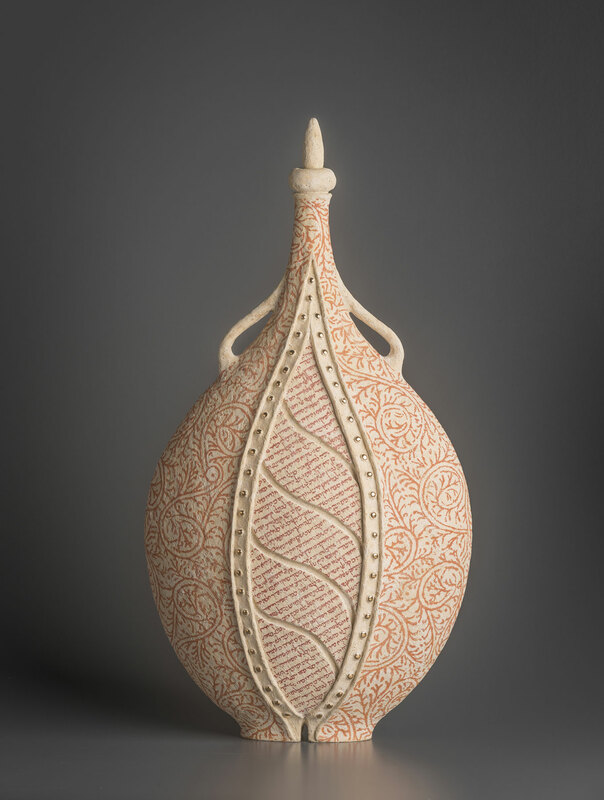 The elegant and expressive designs on the surface of her vessels come from a library of ancient Semitic, Arabic and Hellenic texts and imagery she has gathered from museums and libraries around the world. 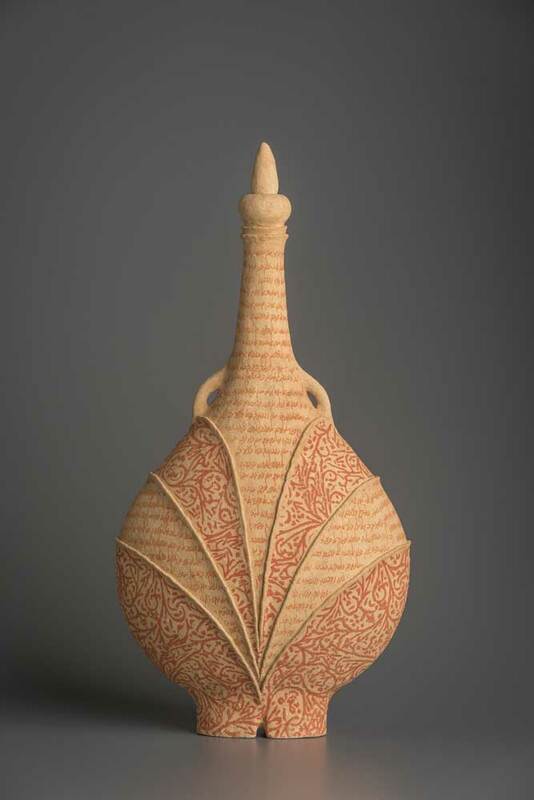 Recently, Avital has begun to introduce some carving onto her vessels to create three dimensional surfaces that reference the carved facades of Islamic architecture. Living in Australia has also been an important influence on her work; “…absorbing influences of landscape and light offers a unique perspective from which I revaluate my complex heritage. I am interested in the frayed edges of mythologies and language, where dialogue and cross-fertilization between cultures takes place. 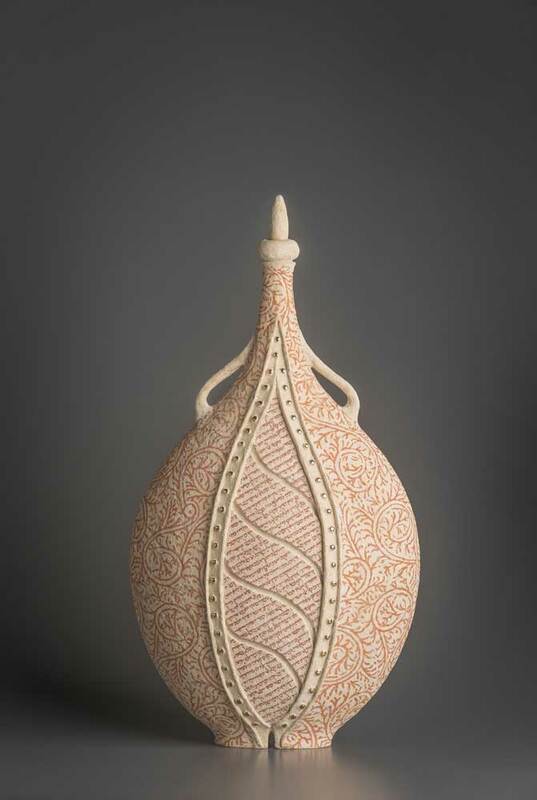 Personal experiences of conflict, migration, dislocation and renewal intersect with the dilemmas between traditions and modernity.” Avital’s ceramic vessels are hand-formed, constructed with coil, slab and mould, fired multiple times with applications of slips, glazes, terra sigilattas and prints. Avital Sheffer grew up in Israel, where she practiced fashion and textile design, building design and town planning. 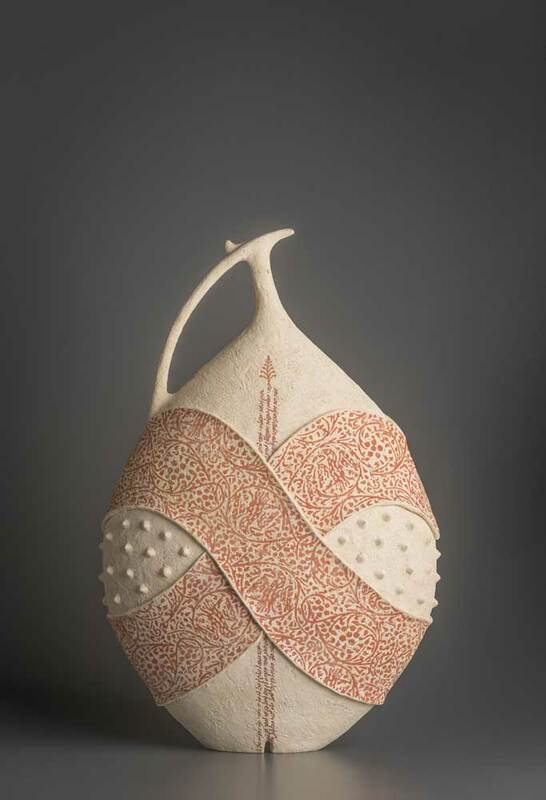 After migrating to Australia in 1990 and settling on the North Coast of NSW, she turned to the making of ceramics, receiving a Diploma in ceramics from Lismore TAFE College in 2003. 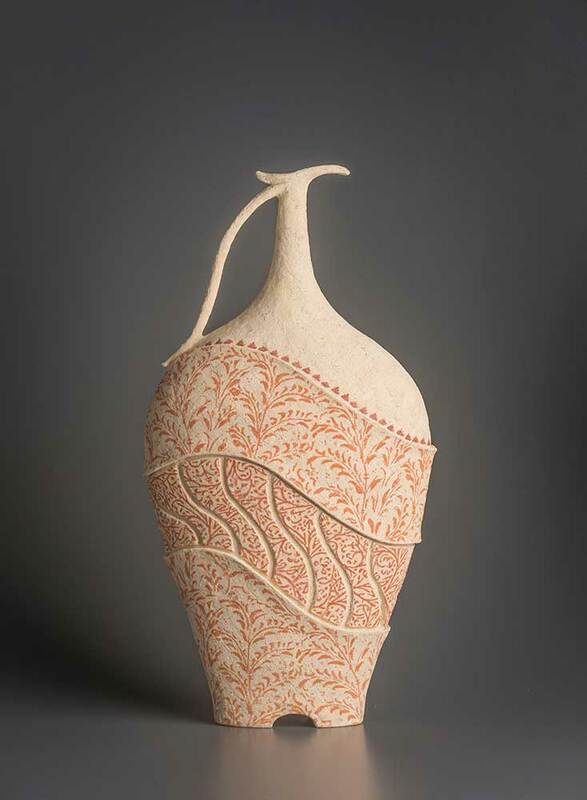 Over the last ten years Avital has exhibited widely across Australia and the USA, and has been a finalist in numerous awards including the Blake Prize, Muswellbrook Art Prize, Manning Art Prize and IV International Biennial of Ceramics in Korea. In 2014, she was awarded an Australian Council for the Arts skills and development grant which enabled her to complete her recent residency in Barcelona. 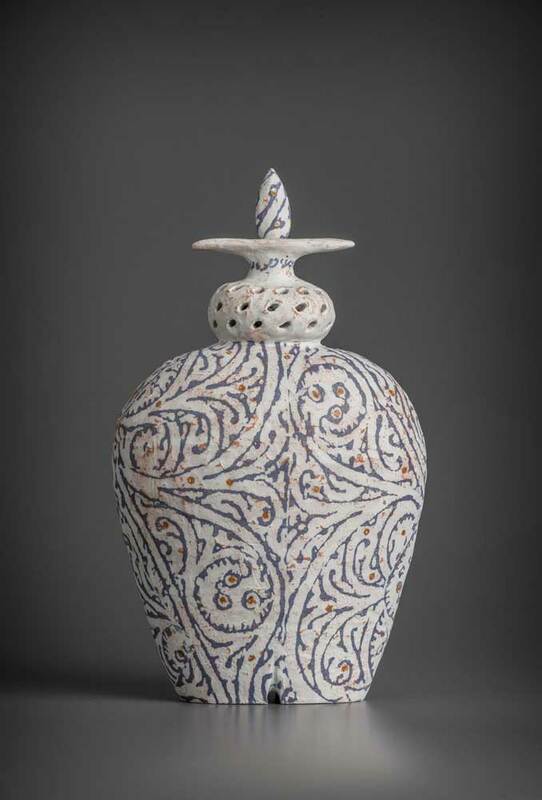 Avital Sheffer is a member of the International Academy of Ceramics and her work is represented in many collections including the National Gallery of Australia, Powerhouse Museum, Ateliers d’Art de France, Manly Art Gallery and Museum and many regional galleries across Australia.